I am not exaggerating. 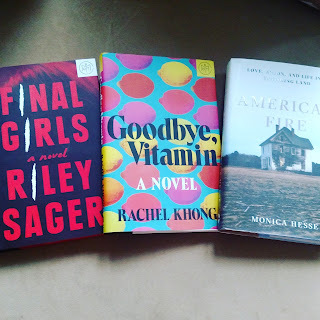 I read three excellent, extremely different books over the last 8 days. All courtesy of Book of the Month Club (BOTM). I do not work for BOTM. I am simply a recent subscriber, and I am sharing my love for the service with all of you because I love it (and you will too). To be fair, I am posting a referral link to BOTM which offers new members 3 months for $9.99 each – that equals 3 new release hard back books for $29.97. If you so choose to click on the link below and give it a try, I will get a free month. 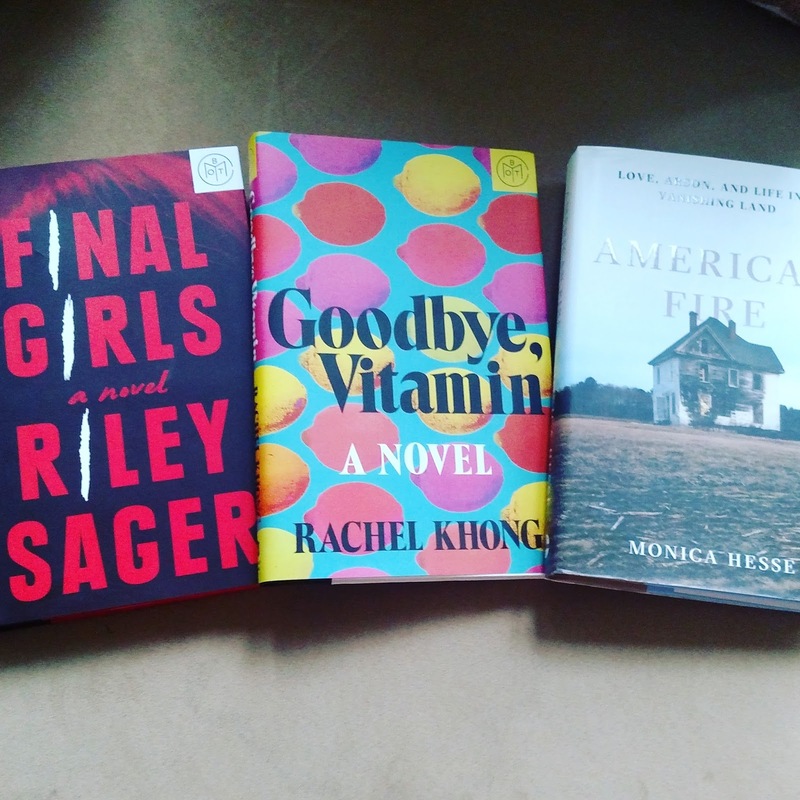 Now that the nasty business stuff is out of the way, let me tell you about the 3 incredible books I read this week. I have one for nonfiction lovers, one for realistic fiction lovers, and one for the horror lovers. It’s been a strange and delightful week. Whoa. I didn’t choose this as one of my BOTM pick because I knew another friend choose it (we plan our months accordingly), but when I saw it pop up on my library’s Hoopla app, I downloaded it immediately. And, holy smokes (ha), is it good! I started listening and could not stop. I felt like I was listening to a Serial-like podcast. 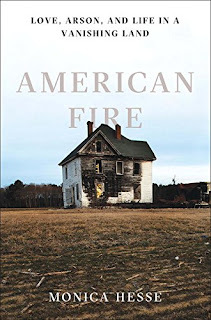 American Fire is the true story of a couple that goes on an arson spree in a rural town in Virginia destroying more than 80 residences. The firefighters are depleted. The community is reeling. The couple is on fire. I had the opportunity to go hear Monica Hesse speak at Hub City Bookshop this Tuesday after listening (reading? 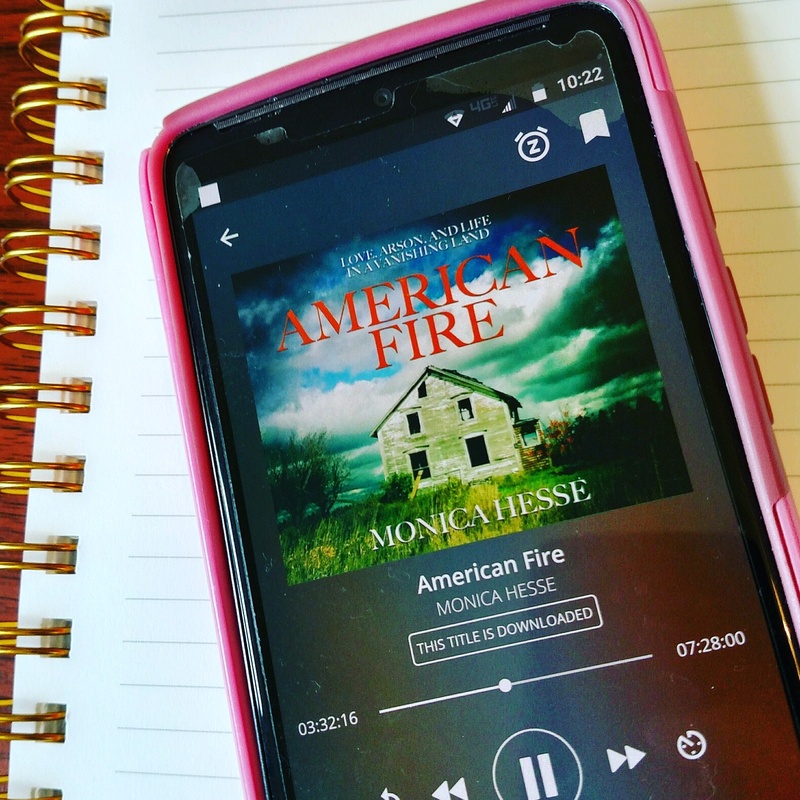 Do you we call it reading if you just listen to the audiobook? What verb is more appropriate?) to the book over the weekend. She was wonderful. Her experience as a journalist and her passion for the story was evident. She lived in the town for months at a time – and she grew to know the members of the community. It is a must read. I did buy a copy and asked her to sign it at the event. 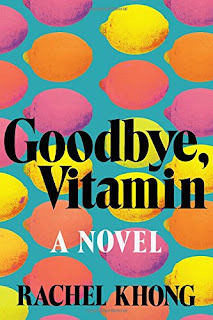 The next book I read was Goodbye, Vitamin. This was one of my BOTM selections. This story focuses on a 30-year-old woman who returns home after breaking up with her fiancé to help take care of her father who is starting to show signs of Alzheimer’s. Written in a sort of diary format, this book made me laugh and cry within pages of one another. Ruth’s journey back home reveals truths about her father and her family and herself. As she struggles to come to terms with the father she thought she knew and the one she learned he is, the reader is right alongside her on the journey. No one in the book is evil. No one is perfect. The characters are all real. The situation is realistic. You will feel frustrated and hopeful just like you would in real life. It is one of the books you read that you are immediately glad you read. It was highly satisfying and one I think those who like family dramas, diaries, and heartbreak with laughter will love. Confession – I have not read a horror novel since I read R.L. Stine. I chicken out anytime I start to read Stephen King (just ask my book club). I have nightmares from shows like Criminal Minds. So, this novel was far from my usual reads. But, with all the positive reviews for Final Girls, I decided to pick it as one of my BOTM selections. I put off reading it until last night. And I started it when we put the kids to bed and did not put it down until I finished it around 1 AM. Because, while it was horrifying, I had to know what happened and what was happening and why it seemed like it was all about to hit the fan. Final Girls refers to the final girls that somehow survived bloodbath style massacres (think movie style massacres – college students in a cabin, sorority girls in their sorority row house, a cheap motel). The comparisons to slasher films is what ultimately made me buy it. 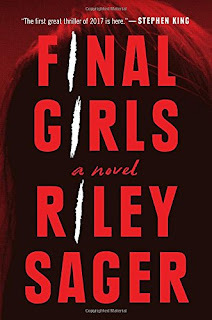 When one of the three nationally recognized final girls dies of an apparent suicide, the other two final girls meet in person. And, all hell breaks loose. Told with flashbacks to the original Pine Cottage massacre and present day, you do not find out what happened or is happening until the final pages of the novel. It is a page-turner with entertaining plot points and quirky characters. 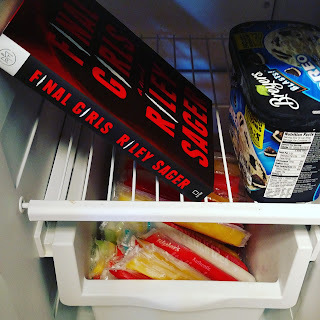 I am surprised (and happy) to announce I not only read the entire book without hiding it in my freezer, I enjoyed it and I did not have nightmares! (That may also be because I made my husband talk about all sorts of bright and shiny things like unicorns to take my mind off it before sleep). 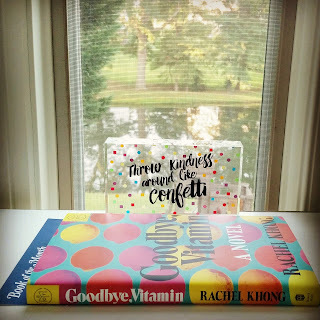 Again, I think BOTM is great because it has introduced me to books I would never have picked on my own, but books that are some of the best I read this year – and this is just July’s book selection. However, if getting fun book mail monthly is not your thing, these books can be purchased on Amazon by clicking the pictures or links (or from your local library’s hold list).